Enjoy live music and specials at the Blue Palmetto Cafe & The Shop at Bok while you get early access to the wares and goods on offers by the best garden vendors in the region. Members are welcome to bring as many guests as allowed by their membership level. The Merry Mingle Member Night is the only opportunity to Christmas at Bok Tower at night. Luminaries light your way to Pinewood Estate and the Singing Tower while carolers and other entertainment inspire and delight you with holiday cheer. An exclusive benefit for members at the Donor level and above, tours highlight the majesty and masterwork that is the Singing Tower. Tours begin in the Visitor Center and preregistration is required. Preregistered members are welcome to bring as many guests as permitted by their membership level. One tour per membership year. 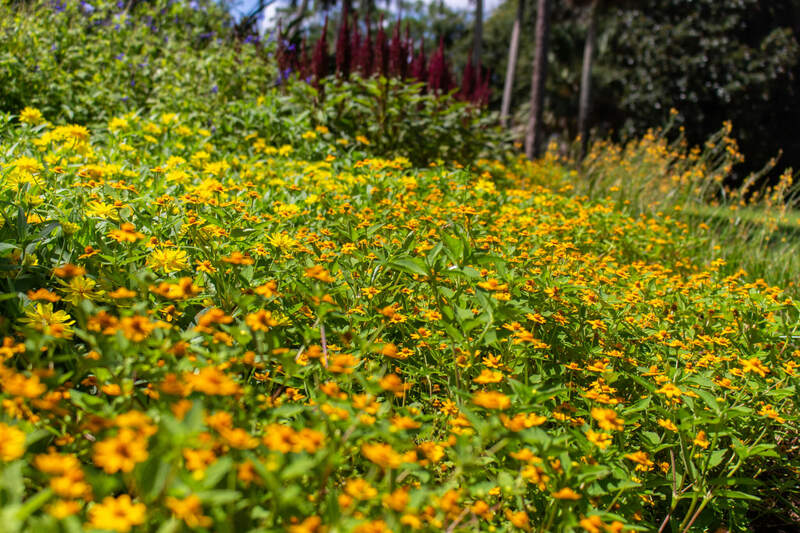 Meet the leaders that make Bok Tower Gardens beautiful on this special tour. After, enjoy drinks and hors d’ouevres in the Outdoor Kitchen. Space is limited and invitations are limited to two individuals per member household. By invitation only and for those who have been a member for 20 years or more, the 2019 Tower Key Society Breakfasts will mark the 90th anniversary of Bok Tower Gardens. Space is limited. Invitations are limited to two individuals per member household.